Seeing poor Mario like this, as an angry anti-hero, going against other famous video game protagonists, is a really weird concept. Sebastian von Buchwald, an artist on DeviantART created a pretty big gallery around this idea, featuring some rather unconventional fights. 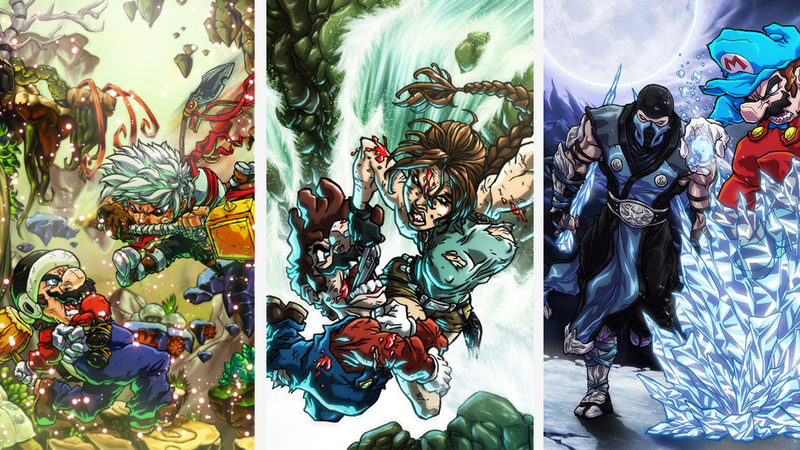 So here's a really upset Mario, and video game characters from all points of gaming history who, really, should be much stronger than they are on these pictures. The Doom Guy with the first person view, Bastion and the fight with Lara Croft are definitely my favorites. You can find a lot more on Sebastian's DeviantART page.